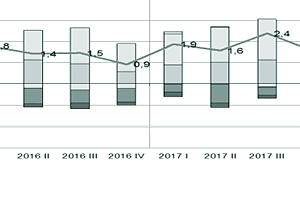 In first two months of 2019 trade in goods reached a surplus of 328 EUR million, which was up 186 EUR million compared to the same timeframe of 2018. Exports increased by 12,8% year on year, while imports increased by 9,2%. The governor of the Bank of Slovenia Boštjan Vasle addressed an open letter to the prime minister of the Republic of Slovenia on the bill for the Act on Judicial Relief Granted to Holders of Qualified Bank Credit. 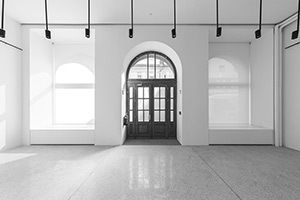 The Bank of Slovenia opened renovated exhibition room Mala galerija. 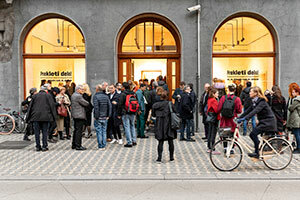 In cooperation with the University of Ljubljana the Bank of Slovenia also opened the first exhibition prepared by students of the Photography Department of the ALUO. You should agree with the terms. Please insert correct e-mail address. By submitting my email address I hereby permit the Bank of Slovenia to use my email address for the purpose of providing news about publications, press releases and changes to the website. I am aware that I can unsubscribe from the news service at any time, by clicking on the highlighted link in a received email. Disclaimer: The Bank of Slovenia will diligently safeguard email addresses in accordance with the law governing personal data protection. The Bank of Slovenia uses a strict opt-in system for subscribing to the news service, which means that emails are only sent to persons who have explicitly consented to receiving them. You will receive no more than one update per day about new publications, new press releases and changes to the website. 3,176counterfeit euro banknotes and 1,002 counterfeit euro coins were withdrawn from circulation in 2017. €16.8bof transactions in securities settled by Slovenian market participants in T2S cash accounts between February and December 2017. 18.1%total capital ratio of the banking system on a consolidated basis as at December 2017. 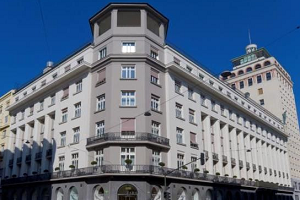 17,535EUR millions of households deposits were held at the end of December 2017 in banks and savings banks in Slovenia. 3.2 tonnesgold in the Bank of Slovenia’s reserves. €3bexcess liquidity of the banking system at the end of 2017. Where you can buy numismatic products, how the deposit guarantee scheme works, how much bank fees for payment services are, whether you can exchange foreign currency at the Bank of Slovenia, how you can register for the Education day, and similar? On 17 September 2018, Executive Board member Yves Mersch unveiled the new design of the 100 EUR and 200 EUR banknotes, which will enter into circulation on 28 May 2019. The new banknotes has enhanced security features and comes in more vibrant colours.